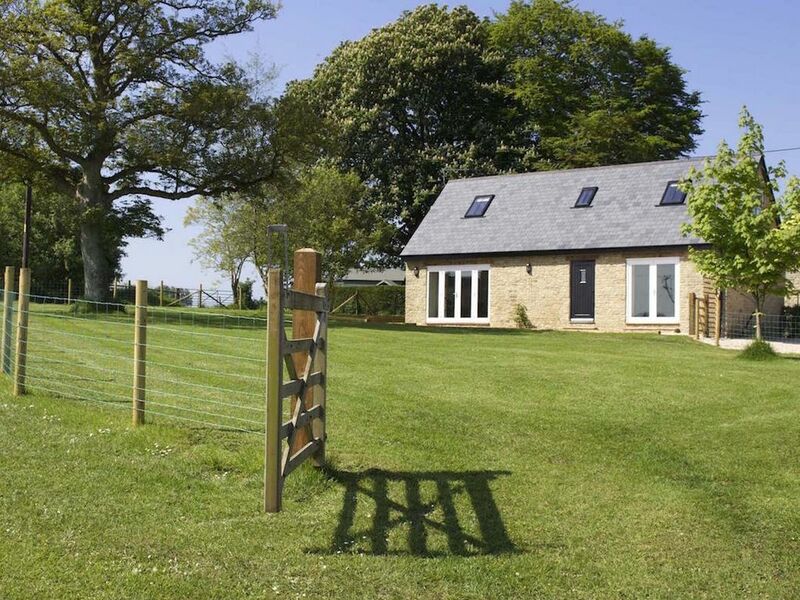 Kelpers Barn at Whistley Farm ,has been finished to a high standard, situated within the Farm approx 100m from our fishing lake and pitch and putt golf course, which is for exclusive use for our holiday guests. It has wonderful views of the open countryside, with lovely walks and within easy reach of many local attractions; Stourhead House Longleat Safari Park, Shaftesbury Gold Hill, Stonehenge, the lovely City of Bath and many others. The beaches of Bournemouth, Studland and Sandbanks are all within an hours drive. We are a family run Farm and the fourth generation to farm here,we live on the farm with our two sons Adam & Ben our dog Boris & horses Fire Moon Spyder & Pops, plus chickens Hazel Hebe Hattie & Hennie who will provide you with wonderful free range eggs. We diversified into Holiday accommodation in 2006 & we are 4 Star rated by Visit Britain, Kelpers Barn is 4 star gold rated. Our farm consists of mixed crops with our main crop being haylage & hay, which if you come during the summer months you can see being made in the fields nearby. We also have a small herd of Ruby Red Devon Cattle. Whistley Farm has been in the Family for four generations, it is in a wonderful peaceful location, with an abundance of wildlife. The Living room is very spacious, with a leather corner sofa, chair, wood burner, large TV (SKY ) DVD, with underfloor heating. The spacious kitchen has a cooker, hob, fridge freezer , washing machine, dishwasher and microwave. Fishing available on site ( coarse fishing for exclusive use of our guests) additional cost to be paid during stay. Rowing boat available for use on one of our lakes. Notes on accommodation: Please note this property is on a Farm, whilst it has a safe enclosed garden, children must be supervised at all times, and not allowed to wander around the Farm, they must also be supervised around the Lakes. Outside: There is a large fully enclosed garden, with outdoor seating for 4 plus a small BBQ. There is wonderful views from the garden, we regret only soft ball games can be used , due to the large patio doors, there is plenty of recreational space down by the lake which has a large mown area for pitch and putt and games.There is a lake available exclusively for our guests for coarse fishing, at a small charge of £5 per day or £25 per week, family concessions available. Cleaning / Towels / Linen / Maid service: All linen and towels are provided, except cot bedding. Other: Kelpers Barn has a large entrance hall, with plenty of space for shoes boots and hanging your coats etc. A true home from home, very comfortable with wonderful hosts. Loved Kelpers Barn , wonderful views . What a fabulous place to stay! Our highest recommendation for a stay in this part of England. What a perfect cottage and host couple! 5 star plus. Very spacious and lovely finishes. Tim and Debbie have thought of everything you might need for your stay. Really clean and the farm is in a great area for exploring small towns. Come and stay here you will be delighted you picked this barn conversion! Tim and Debbie couldn't have been more helpful without intruding. Everything mentioned in the brochure was there. We needed a bolt hole and it was perfect. Returning each day to look out over the rolling countryside from the seclusion of the barn. Next time we are down we'll certainly be booking in. Bournemouth, Studland, Sandbanks are all within 1 hours drive. Weymouth is just over the hour drive as is Weston Super Mare. Bristol and Bournemouth Airport are both within the 1 hours drive. The village of Milton on Stour is 1 mile from the property. The nearest Towns are Gillingham 2 miles and Shaftesbury 7 miles. Booking Notes: Kelpers Barn is a Friday - Friday changeover or Monday - Friday A deposit of one third of the total booking cost is required to confirm your booking, with the balance due 8 weeks before your stay. Changeover Day: Friday changeover. Arrival from 3pm departure by 10am. Late checkouts on weekend breaks may be considered , please apply. Notes on prices: We can also accommodate short breaks at certain times, please contact us for details. Fishing is available at £25 pp per day or £5 pp per day.